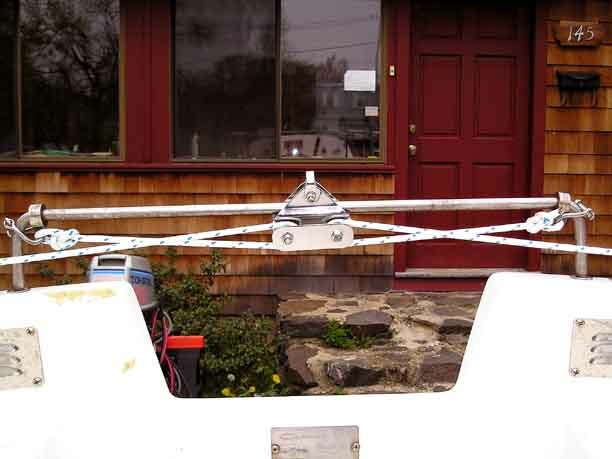 I've added a traveler car and control lines leading forward this year so that I won't have to dig out the pliers and wrestle with those nuisance thumbscrews each time I want to adjust the mainsheet traveler. 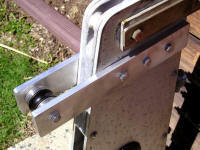 I drilled a hole through its shank in line with the quick release pin holes in the anchor roller, then inserted the pin. 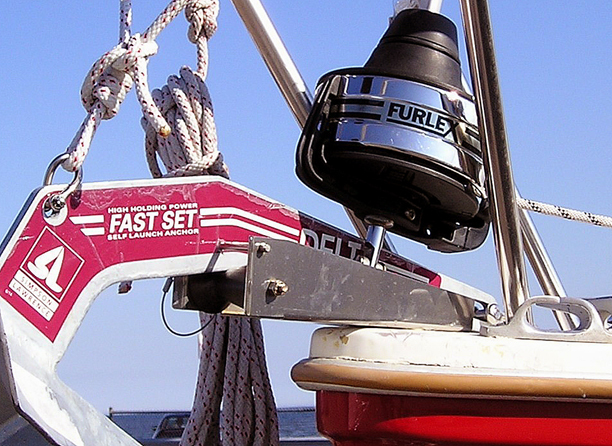 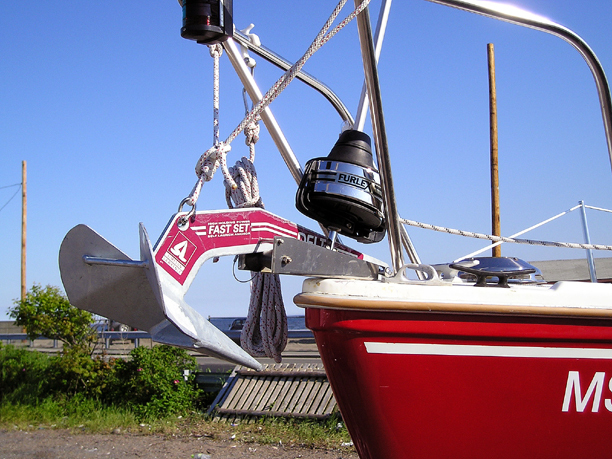 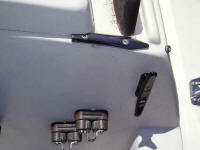 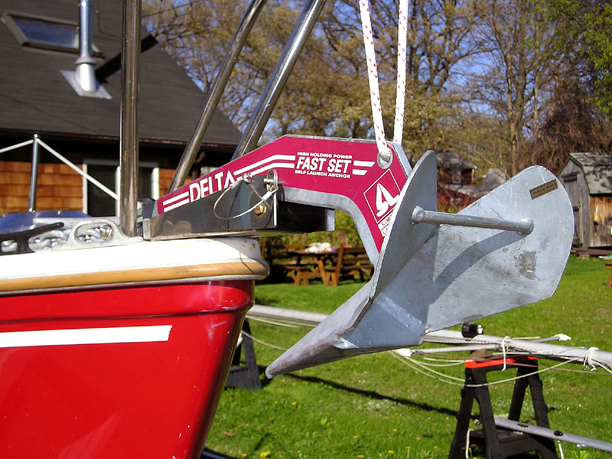 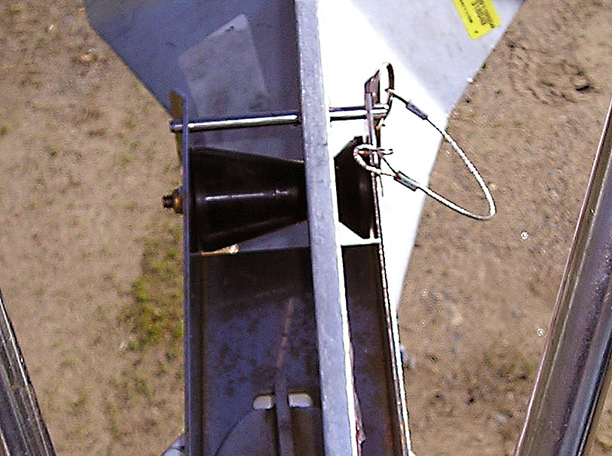 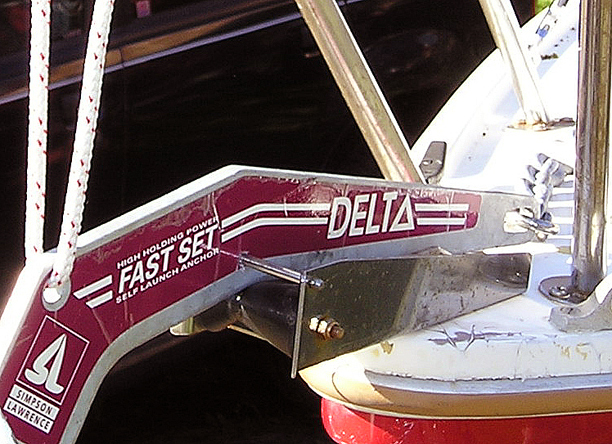 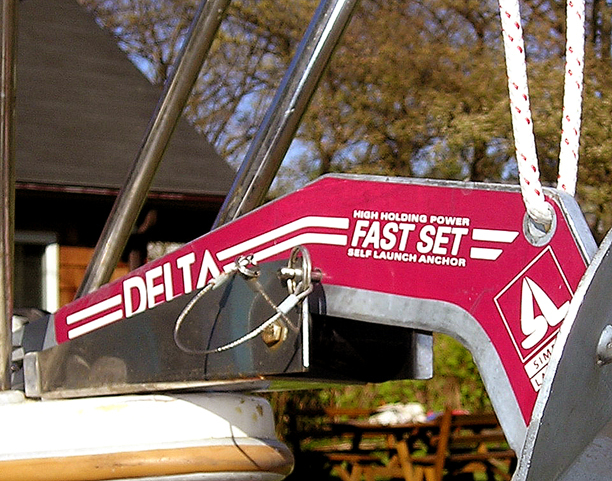 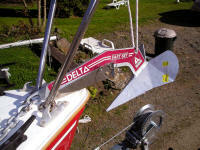 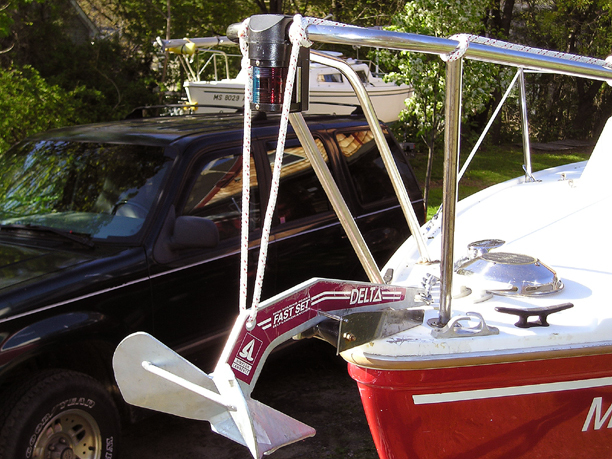 The Delta Fast Set anchor has a hole for a trip line that can be added to assist breaking loose the anchor from the bottom. 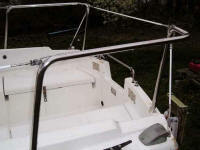 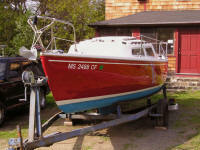 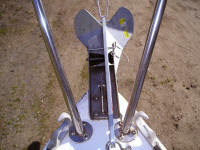 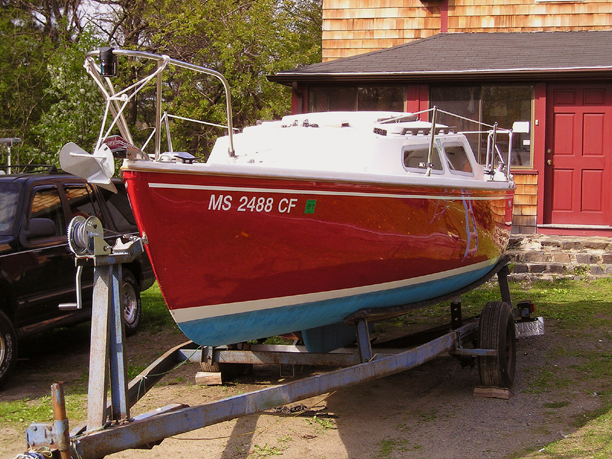 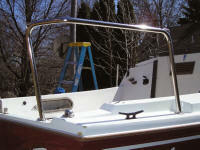 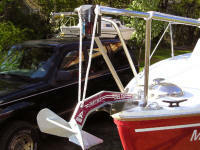 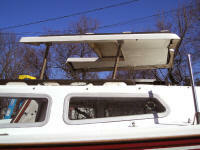 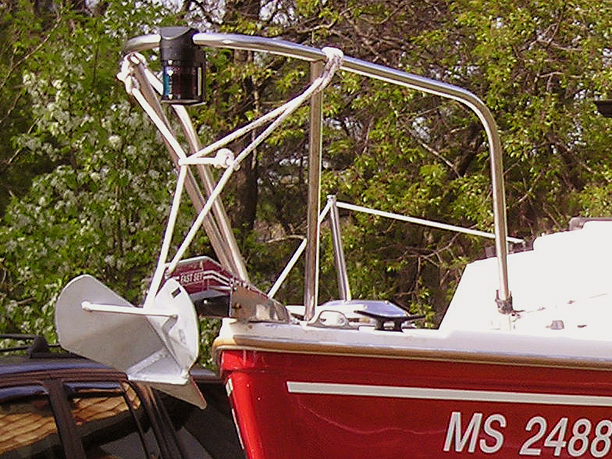 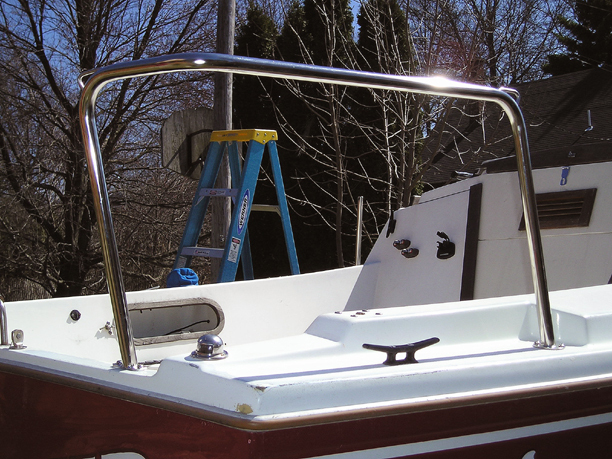 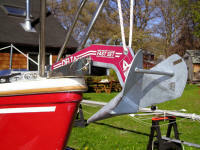 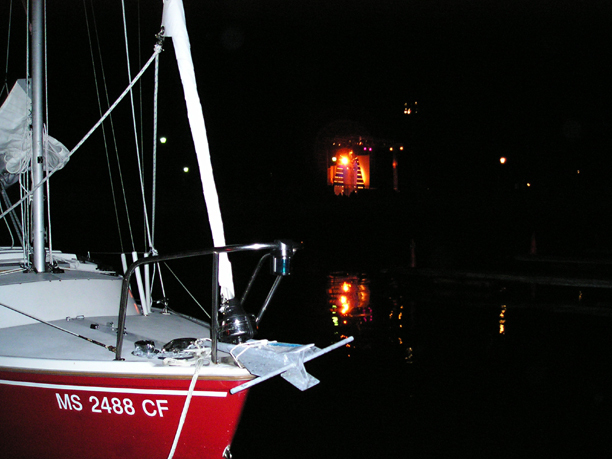 I used it to further secure the anchor away from the bow, running a line through it and up to the bow pulpit. 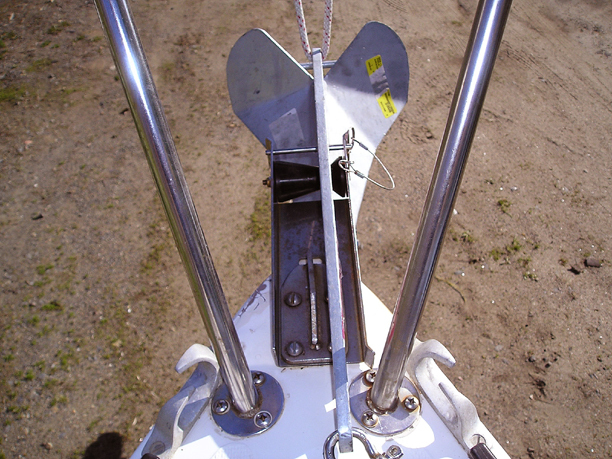 The anchor and roller seen from topside. 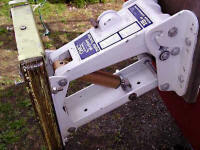 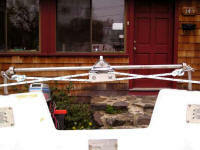 and even the nearby step ladder straddling the roller-furler.